Perfect item, super fast shipping, great communication! Highly recommend and would buy from again! Welcome, I’m so happy you stopped by! I learned how to sew in a 7th grade home economics class and made my first pillow at the end of that semester. I grew up, got married, and pulled out my rusty sewing skills (out of necessity) to make curtains and pillow covers to dress up our hand me down furniture in our little apartment. Years later we started having children, 4 in just under 6 years (3 girls and then a boy), yes we are busy! I longed to buy my family matching handcrafted outfits, monogrammed outfits and dresses but we couldn’t afford them on a single income pastor’s salary! I decided I could try my hand at creating similar things, thus beginning to sew childrens clothes, burp cloths, wash cloths reusable bags and wraps just to sustain my sewing “habit”. I bought an embroidery machine and worked hard to polish up my skills even more which grew into my LivingLadyDesigns business. 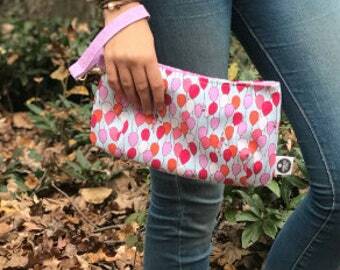 My children are older now and won’t wear matching outfits :( so I decided to try creating purses, bags and wallets-more grown up things! I love to use different mediums and materials to create custom items for you! I take pride in my perfectionism, selling the highest quality made with nothing but the best notions!!! I LOVE to see my items out and about just “doing life” :) Thanks for stopping by!!! All items are handmade by myself in a smoke-free, pet-free home! If you are not satisfied with your items, please convo me :) Sorry, no refunds unless manufacturers defect (pictures provided by customer to me). Please read descriptions carefully BEFORE purchasing!!! Please note I am NOT responsible for items once they leave my hands (shipping). I use Direct Checkout & Paypal, it's a safe & secure buyer/seller environment for everyone :) I require payment in full for all items BEFORE I start! At this time I only ship within the United States. I ship via USPS with a tracking number, unless your item is needed sooner (convo me to confirm plus rush charge). I LOVE to do custom orders, making your item even more personal! if you don't see something you like, please convo me and don't hesitate to ask!